While most people are eagerly anticipating Capcom’s return to survival horror later this month, they’d also do well to keep the resurgence of samurai epic Onimusha on their radar. It’s been thirteen years since Onimusha: Dawn of Dreams hacked and slashed its way onto PS2 to a solid critical reception. But despite evolving the games’ design in fresh, exciting ways, this is the last we’d see of the franchise. Until now. Because of that, it definitely makes sense for Capcom to essentially start over with the IP. A lot has happened since the PS2 dominated the market and despite brief dalliances on Gameboy Advance and the original Xbox, Onimusha’s real home was at Sony. Meaning not everyone got to play these games the first time around. 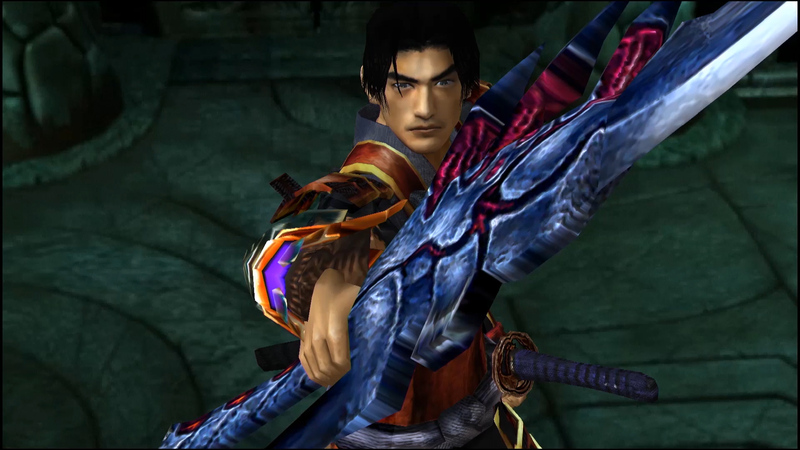 And while this is a franchise that has seen sequels and spin-offs aplenty, Onimusha: Warlords remains the crown jewel. The original and best, so to speak. So it’s perhaps a bit surprising that, seventeen years on, this is still a very well designed and enjoyable video game that actually plays really well. The original launch followed Capcom’s mastery of third-person action adventures at the time, with the likes of Resident Evil and Dino Crisis already changing the face of the industry, Devil May Cry set to follow. 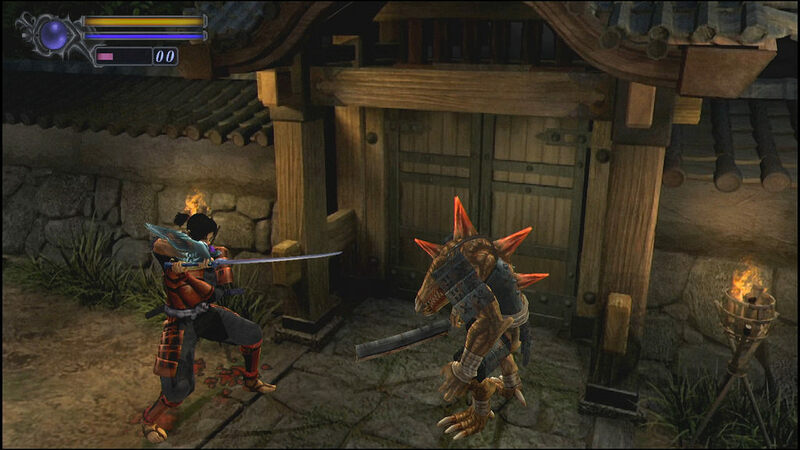 Onimusha: Warlords puts you in the guise of a samurai in feudal Japan. As Samanosuke Akechi, you are on a mission to save a Princess, who has been captured after her castle is overturned by strange, supernatural creatures. Using swords – each infused with magical abilities – as well as bows, you must hack, slash, block, and weave your way through creatures of all shapes and sizes. In somewhat of an interesting twist, however, Samanosuke also acquires an Oni Gauntlet, which enables him to gather and collect demon souls which, you guessed it, allow him to power up his weapons. Between that and the timed strikes and deflections, the early Dark Souls tropes were clear for all to see. It’s not quite as developed or expansive as the adventures of The Ashen One, but Souls-fans will definitely find some aspects rather enjoyable in Onimusha: Warlords. 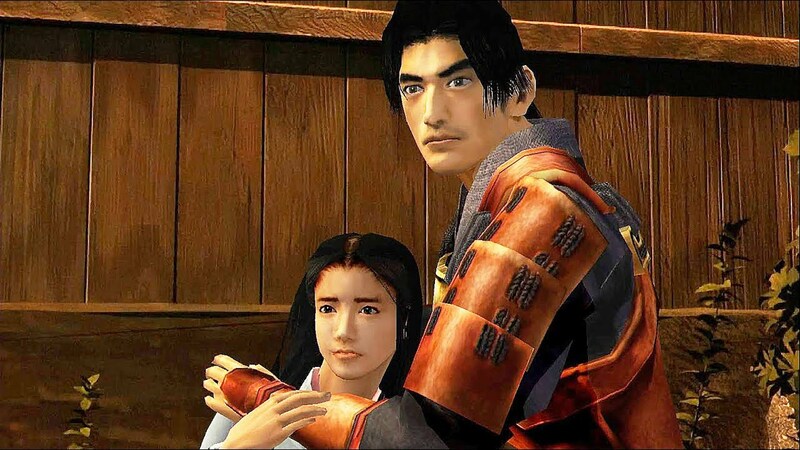 Because of the popularity of the Bloodbournes, Sekiros and Dark Souls these days, something about Onimusha: Warlords feels more poignant and significant now than it ever did when it was a PS2 launch title. Which is fortunate because, to be honest, the game’s plotting isn’t its strong suit. Nor is its acting or overall character direction. In fact, it often feels like it’s ribbing itself as you play with some of the voice-overs and lines of dialogue used to progress through scenes. To me, that’s Onimusha: Warlords’ most refreshing quality. I’m not quite sure when it happened, but games like Onimusha, Dino Crisis and early Resident Evil just stopped being made. The industry wanted to make things more realistic and cinematic, and led it with the likes of Uncharted, Assassin’s Creed, and The Last of Us. The idea of Onimusha: Warlords is to feel like a Samurai B-Movie, and that might take some getting used to with the more recent gritty and realistic approach to games. Games like Red Dead 2 are often praised for the acting, scripting, directing, and general film-like feel. Same for God of War and even Spider-Man. Sure, these games also like to have a bit of fun but they do so with high-production values, iron-clad storytelling, and world-class acting. Laughter almost feels like its been signposted and given a set place in these games. Whereas playing Onimusha: Warlords, some of that humour comes accidentally and inadvertently. That’s all part of its charm. Here, we’re back to the days of obnoxious voice acting and a game that is often times a parody of itself. Onimusha was one of Capcom’s final franchises to really fit that old-school mould and mentality. And because of that, it feels wholeheartedly refreshing. The original Resident Evil 2 certainly had similar moments, but as that’s been recreated in an entirely new vein, it feels more in-line with modern games while still paying the occasional homage to its roots. Onimusha is the authentic, original experience, but with some added bells and whistles on top. For instance, Capcom have given Onimusha: Warlords some slick upgrades, such as HD textures to the characters, and cinematics. They’ve also added a scroll feature which enables you to see more of the world than ever and finally added analog stick support – previously, it used the D-Pad can you believe. At times, the game shows its age, especially when you transition between scenes and suddenly have to redirect your pathing. Also, the combat is relatively limited compared to today’s standards, there’s a lot of to’ing and fro’ing, and it often requires a bit of grinding to progress, which can leave you feeling a bit aimless. But for the price, Onimusha: Warlords absolutely must be experienced, whether you were a fan of the games’ before or have never tried them before. Especially with the portability of Switch, the game has never felt more at home. Whether this is the last we see of Onimusha from Capcom remains to be seen, but having dived back in after all these years away from feudal Japan, I realise that I’ve never wanted to revisit this franchise more. With true 4K visuals, a gripping plot, more modernised mechanics and a deeper, richer, and bigger experience, there is a brilliant game boiling underneath the surface that could once again make this a top-tier franchise for Capcom and add another layer of diversity to their already stellar lineup. Onimusha Warlords is now available on all formats.